We've all desired for bigger lips, I know I have many times, but I'm way too scared to go and get lip fillers even though it's something that people get done all the time - I can't help but worry what it will do to my lips, I've heard too many horror stories. 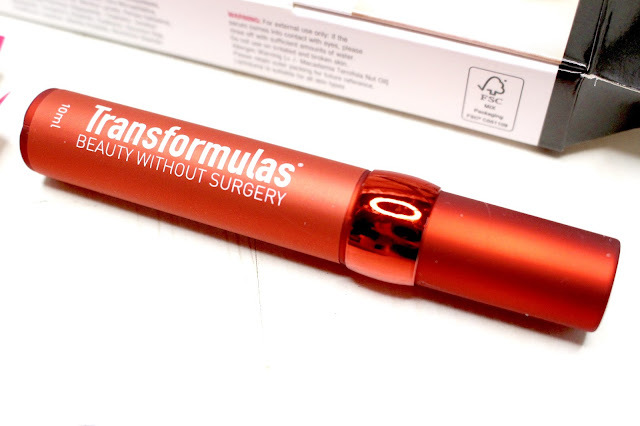 When I received the above lip plumper from Transformulas I was half excited, and half skeptical. I've tried all of the ones in Boots/Superdrug where they tingle your lips for a maximum of 10 minutes, and then they just become sticky and irritating on the lips. However, I thought I would give this a try and not tarnish it with the same brush. The first thing to note is that this lip product comes as a clear liquid, no colour to it, which for me is better as it means you can wear it on it's own or over the top/underneath a lipstick of any sort (although, if you want to purchase them in colours then it comes in Pink and Brown). The second thing to note is the packaging, it feels fancy and medical, without looking scary or causing hesitation to use it. 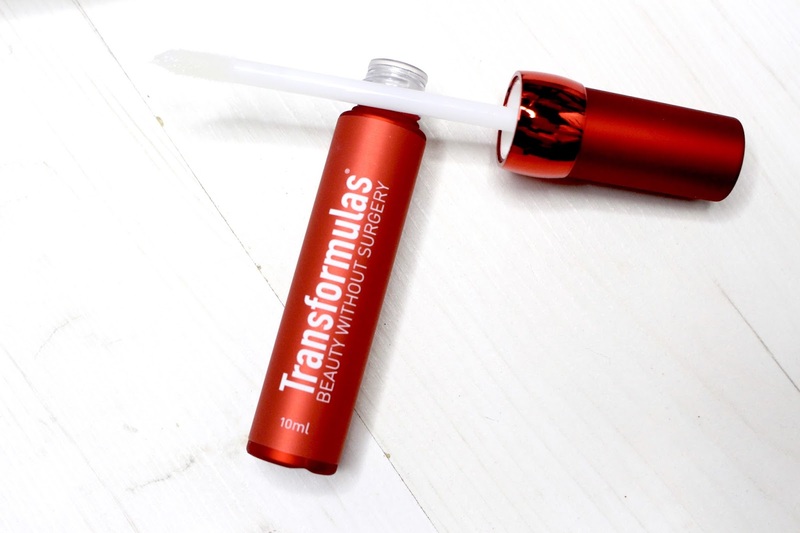 - Increases lip volume for plumper lips- Stronger cells help the lips to hold more fluid and the increased blood supply make them look bigger and younger. - Defined & more contoured lips -to slow down the ageing process that makes older lips look saggy and less defined. - No sting- who says no pain no gain? Does it live up to it's claims? 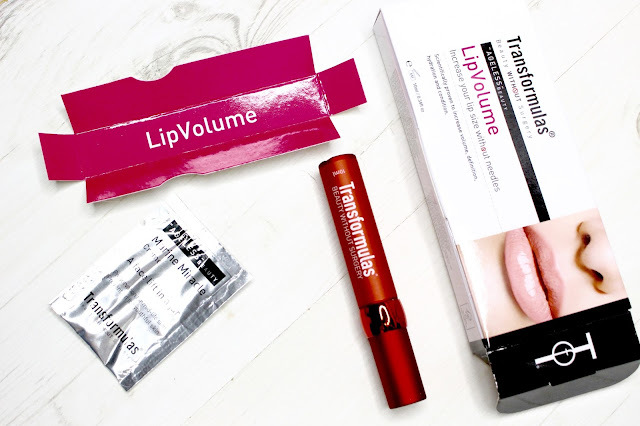 I have been using this product for the past four weeks, and I can't say I have seen a noticeable difference in my own lip volume, however, I do feel that when I am wearing this it does make my lips look fuller. As I'm only 25, I can't say that I have lines around my lips that need reducing. I do hope that it will work towards prevention though. They do say prevention is better than cure! One thing I can fully back up is the deeper hydration claim, I notice that when I wear this my lips feel soft and hydrated for over 8 hours. And the wear time of the product is great, I don't notice it wearing off throughout the day, but when it does wear off it does so gradually that you don't end up with awkward blotchy lips. For short term gains I do think that £29.95 is a little pricey for what the results are. However, if in the long run it achieves what they claim it can, then £29.95 is minimal for younger, fuller looking lips. Hi, I'm Laura. 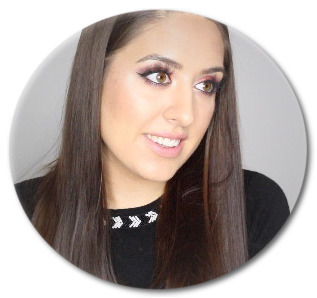 I'm a UK based beauty blogger and vlogger. I use my blog as a space where I can share my beauty ramblings, my lifestyle experience and the fashion pieces that I am loving! Go on, stick around and be nosey! © lauraxblack. All rights reserved.